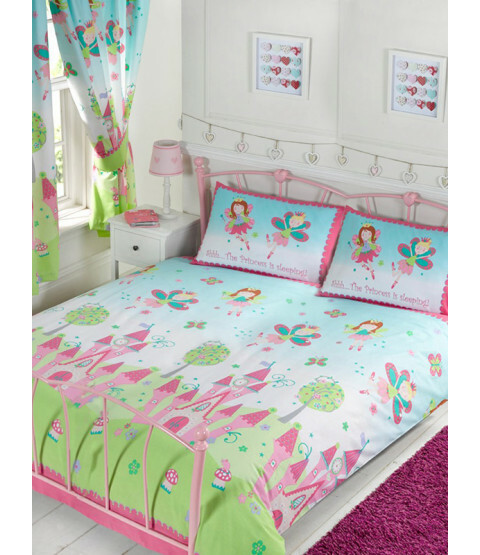 If you are looking for a bedding set fit for a princess, this is the design for you! 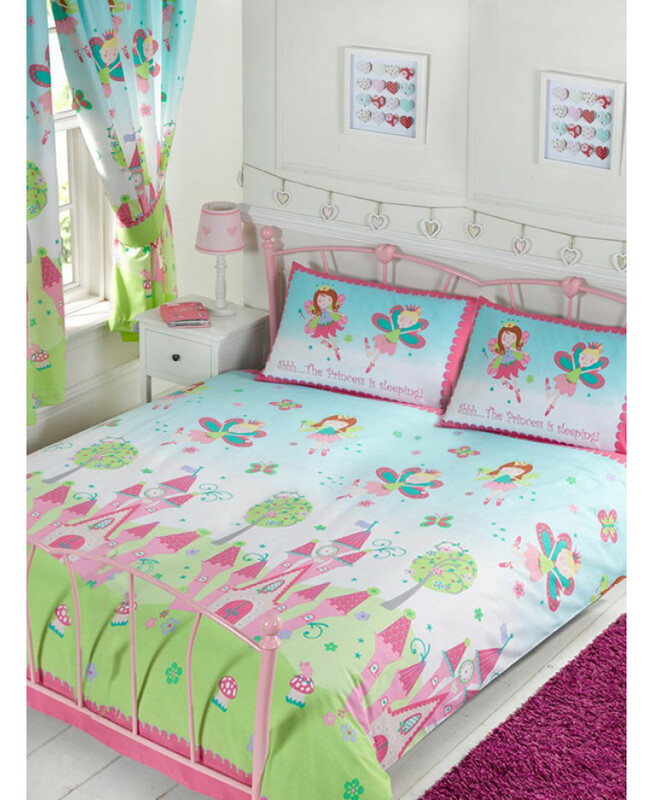 It features lots of pretty princesses in their magical fairy kingdom with the words ''Shhh....The Princess Is Sleeping'' on the pillowcase. Made from a polycotton blend, this set is suitable for machine washing and tumble drying on a low setting.